Funny facts to read alone. 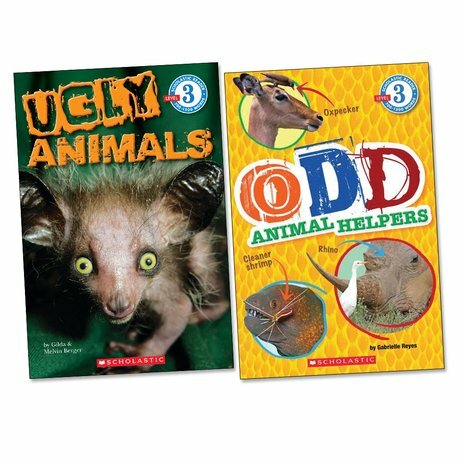 Think you know lots about animals? These oddball critters will surprise you! Explore a whole new side to your furry friends. Take a look at ugly animals in all their hideous glory: naked mole rats, warthogs and ferocious honey badgers. (Not as sweet as their name.) Then move on to explore bizarre animal teams whose weird habits help each other survive. Crocodiles and birds are just the start! Silly giggles, cool photos and nutty science facts. If this won’t get you reading alone, you must be a very strange creature.